In a twist of fate that only March Madness could deliver, both South Carolina men's and women's basketball teams are headed to the NCAA Final Four. 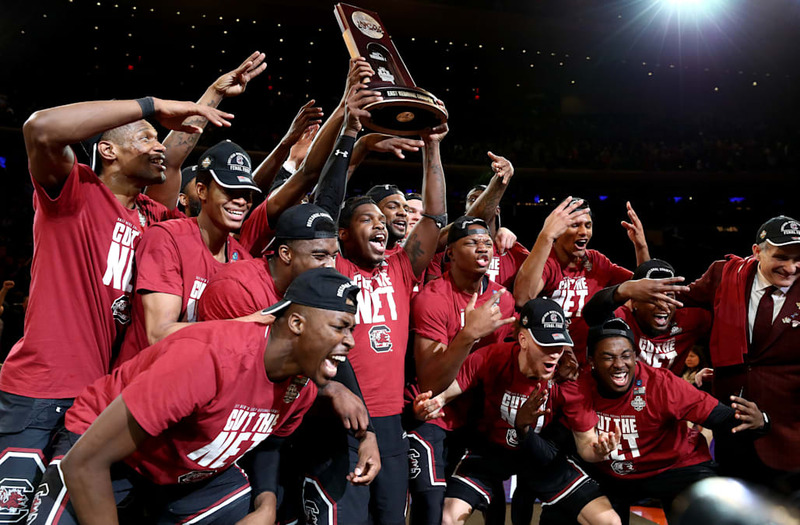 South Carolina became the 10th college in NCAA history to send both its basketball programs to the Final Four. The accomplishment has been achieved a total of 13 times, with both UCONN teams making the Final Four on three separate occasions. The Huskies are the only team to ever win both the men's and women's national championship in the same season, making history in 2014. The Lady Gamecocks are headed to Dallas for the women's Final Four, and it's no surprise. The basketball powerhouse has reached at least the Sweet Sixteen in each of the last four seasons. They dominated UNC Asheville in the first round, defeating them by 50 points. The ladies passed Arizona State in the second round, before blowing out Quinnipiac by over 40 points in the Sweet Sixteen. In the Elite Eight round on Monday, South Carolina defeated Florida State, securing their spot in the Final Four. The top-seeded team is set to face Stanford on Friday in its second Final Four appearance in just three years. Before this year, South Carolina's men's basketball team had not won a game in the NCAA tournament since 1973. The Gamecocks defeated Marquette in the opening round before making a huge, bracket-breaking statement when they took down March Madness favorite Duke in the tournament's second round. They went on to knock out Baylor in the Sweet Sixteen and upset Florida in the Elite Eight. The Cinderella story continues for the men's team this Saturday, as they prepare to take on the Gonzaga Bulldogs in Phoenix.